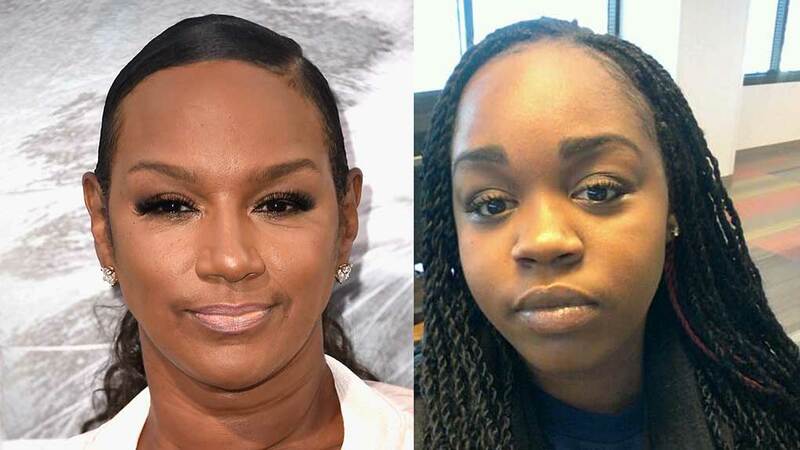 This week on Basketball Wives LA, Jackie Christie lost it over criticism of her relationship with her daughter Takari Lee, explaining she doesn’t need to visit Takari because she takes care of her financially. Well, that does not appear to be the truth! Takari took to IG after and set the record straight. Next articleEvelyn Lozada and Carl Crawford Broke Up? These storylines are truly terrible for the masses. Daughter against mother and vice versa. I would be so stressed out working on those shows with this bs. Damn, I’d have to do an intervention on the whole gd circus so I could go home sane. Why do people actually sign up to endure more trauma than they already have??? There is such a thing as no price for peace of mind! This daughter hers is very foolish girl. 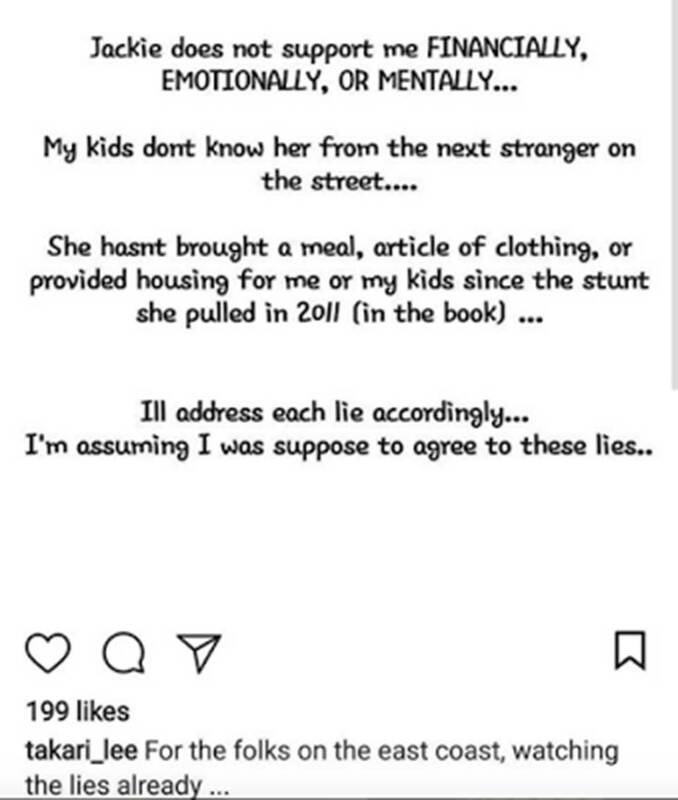 Little girl, stay off social media talking about your mother. If her baby was burned at daycare, why isn’t the daycare paying the bill fir an accident??? We all can see Jackie is crazy, but I would give you a dime either.. Please handle your problems in person or the cellphone, stay off if social media.. Most people will not send you a dime to help you. Where is the child’s father??? This new generation is always looking for a handout, our parents raised us to earn your own money. They didn’t spoil us and it was hard, but fair.. We knew better than to go home and ask for money, it had to be a case if emergency or an illness for them to help you out.. Stop having all these babies if you can’t make it on your own.. Everyone that sees Jackie knows she crazy and manipulative, but she will have to answer for her shortcomings, the same way you or I will have to do the same..
How are you people blaming her, when her mother is the one putting the BS out there first? I don’t know the whole story, but if someone was lying on me, mother or not I damn sure would set the record straight too…and she did it respectfully w/o calling her out her name or cursing her so…ya’ll need too get over it. Girl speak your truth and shame the devil! Cuz he damn sho’ is a lie!